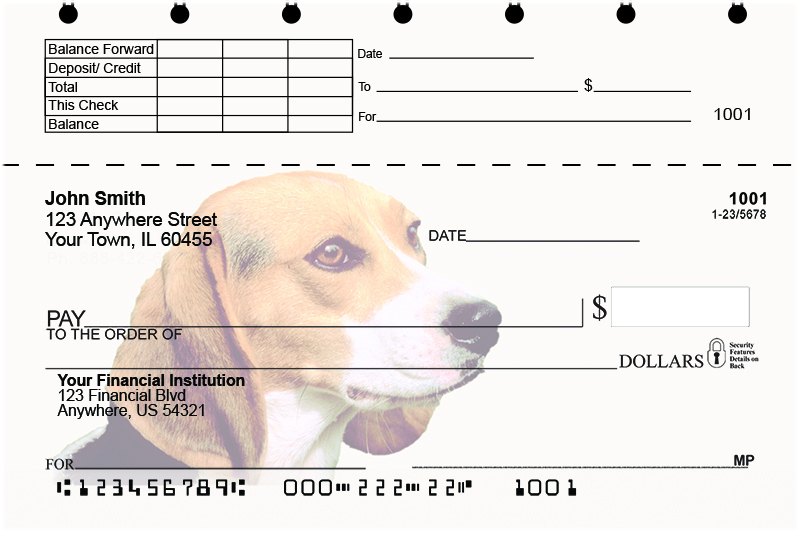 "Beagles Top Stub Checks" product is already in your cart. These new Beagles Checks picture one of these adorable little pooches sitting up proud, waiting for his treat. A great check for beagle owners and dog lovers.